Looking for professional painter in Rolling Meadows? We offer a complete range of superior exterior painting services. Give your home a fresh look with our detailed residential painting services. Our skilled and dedicated painters handle each project with professionalism, timeliness, and care. We specialize in painting the inside of homes and business locations in the Chicago area. We provide professional painting, on time and on budget. Our painters are reliable, insured and skilled at all aspects of painting. We offer a complete drywall repair services. With our trained and license professionals we handle any drywall repair you may need. When you contact us and schedule an appointment we will be prompt and fix your drywall accordingly. 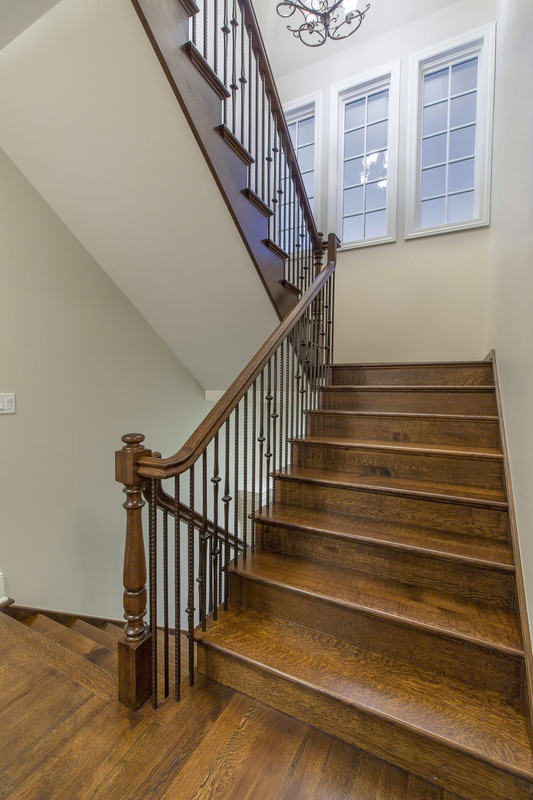 Chameleon Painters in Rolling Meadows is your one source for all your professional painting needs in the Chicago Northwest and the surrounding areas. We specialize in residential, commercial, industrial and municipal painting using environmentally friendly powder coating techniques. The Chameleon Enterprises company is a fully licensed and insured home and commercial painting contractor. Our crews are experienced, professional, energetic, and courteous. We are so sure that you will be completely satisfied and happy with your interior or exterior painting project, we offer quality guarantee! It is our goal to make your painting experience a pleasant one. Our employees are hired not just because they are excellent painters but also because they are people that you will feel comfortable with in your home. Our professionals will provide you with an estimate when it is convenient for you. During the majority of the year we are able to schedule estimate appointments 7 days a week to ensure that we can be available around your schedule. At the time of the estimate you will receive a written quote describing in detail the services that will be provided and what those services will cost. Once your job has been scheduled we make it our priority to start and complete your job on schedule. Are you bored with your dull interior look of your house? Are you willing to change the interior of your house beautiful and full of life? Then worry no more because it’s time to end that boredom! Chameleon painter’s enterprise is and has always been working tirelessly to innovate and present your interior looks just supper terrific. At chameleon, we offer you high class and professional painting inside your home and offices. We offer our services with zero errors hence leaving your dining room, bedroom and seating room with an eye catching factor to your family and your visitors. Indeed we take pride in the work we do for our clients. As one of the reputed residential and business painting enterprises in and around Chicago area, we focus on attention to detail, quality craftsmanship and good customer service. Be it in your office, your commercial building or even the interior of your guest house, we are always ready to offer you the A+ rating. Our packages are pocket friendly to all our clients. We believe in quality and we are never late to deliver uniqueness. Additionally, we offer high quality exterior painting. We offer superior exterior painting services. With the help of our professional painters, we leave nothing behind but excellence in your exterior look. At chameleon enterprise, we use the best paint quality for both the foundation paint and the final paint hence assuring you of a long lasting color in your buildings. This service comes at a better and a friendlier package. This service is available for any commercial and residential building. We help you liven up your home’s exterior with a fresh coat of paint. Our professionals assist you in choosing the color according to the environment you are located in. After choosing the color, we add the paint! Due to our high professionalism, there is neither hassle nor mess with us. With our detailed professionalism, we leave you with no reason for doubt but with confidence that you are hiring the best interior and exterior painting enterprise. 5200 Carriageway Dr Rolling Meadows Il, 60008, Apt 314.